Your brand is one of your greatest assets. You need to protect it.brand-protection-shield Amazon presents a tremendous financial opportunity for manufacturers. However, it also presents a unique set of threats to your brand. Counterfeiters, scammers, and rogue distributors thrive in the Amazon marketplace. Their schemes generate huge profits for themselves–the same schemes that meanwhile damage your brand integrity and undermine your profits. Combating attacks against your brand without assistance can be both complicated and costly. 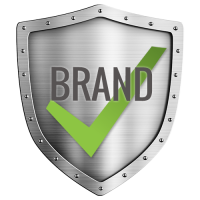 Contact us today to find out how we can immediately begin helping you to protect your brand.